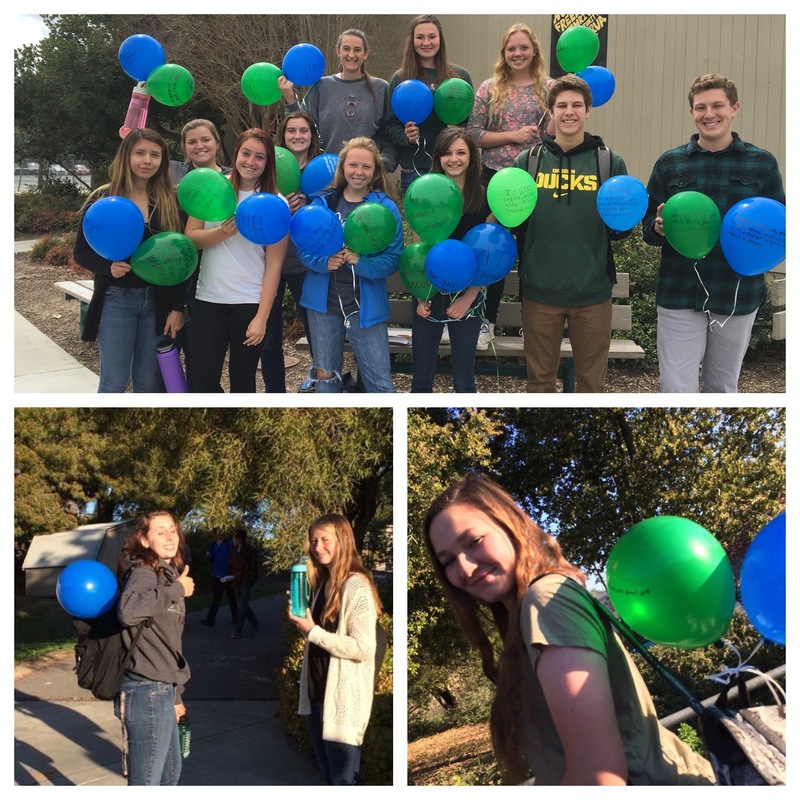 In honor of Brain Injury Awareness and National Athletic Training month my sports medicine students and I created a campaign called 50-a-day. 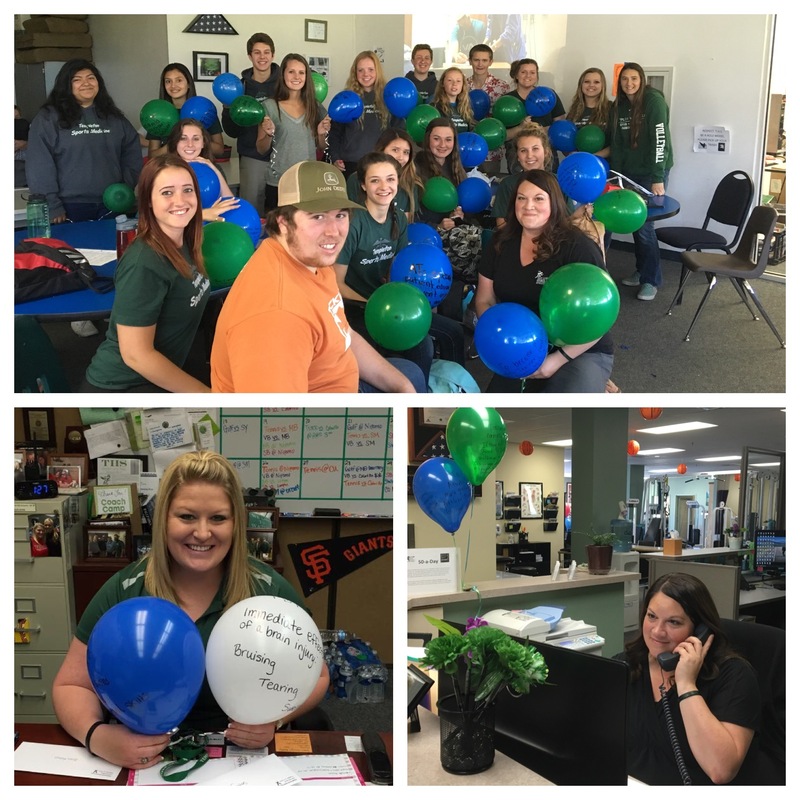 The 23 of us, our AD, and the Lindsey family each committed to displaying a fact about TBI on a green balloon and a fact about AT on a blue balloon. We then carried these balloons with us all day. Every day this week each of us had new facts, giving us 25 facts on each topic each day (50-a-day). It was really cool to see the balloons moving around campus, and even on display at the Templeton SLST clinic. The balloons created a ton of interest and a lot of conversation. Yesterday we held a screening of a slideshow the Lindsey family and I put together with about 500 pictures of me through my AT career and Isaac from the first day in the hospital to current. We had so much fun this year that my students and I hope to continue and maybe expand next year.